Incidental is something that happens in an unplanned or casual way. Children are learning a LOT, incidentally, as they are following a parent around. Helping your preschooler learn the alphabet can be incidental to normal daily activities. Make it lighthearted and fun. If you start to do it, chances are your child will soon start to do it on his/her own. Are you ready? 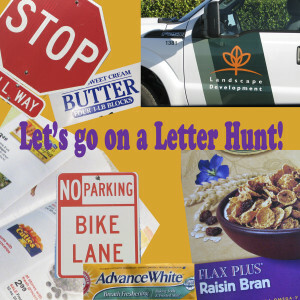 Let’s go on a Letter Treasure Hunt! Here are some places to explore the incidental alphabet. Brushing Teeth — Look at the toothpaste tube. Hunt for a certain letter. As your child gets more proficient at this, ask them to tell you what all the letters are in a word. Cooking — The ingredients you use often come in packages with lots of letters. Ask your child to get a cube of butter out of the refrigerator. Ask, “What letter does butter start with? Can you find the b on the butter box? The Mail Comes — Take out a grocery ad, or a piece of junk mail. Ask you child to find a certain letter. “Let’s see how many “a’s” we can find on this. Just point them out or circle them with a pencil. Washing Dishes— Look at the dishwasher soap. Find letters on it. Washing Clothes. The clothes soap container has lots of letters. Riding in the Car— If the child can see signs from the car seat ask him/her to look for signs. Talk about what they mean. Look for a certain letter on the signs. At the Grocery Store— The grocery store is a place of endless educational opportunities. Certainly letter hunting can be among them. Count how many of a certain letter you see on one aisle. Look for a certain letter on a box. At the Restaurant— Look for letters on the menu. Many restaurants have children’s menus that can be written on. Circle letters while you are waiting for your food. In the Neighborhood— Letters are on store signs, street signs, cars, buses, and trucks. In this process you can also point out the difference between capital and lower case letters. Talk to your child about how the first letter is a capital letter, and the other letters are lower case. Show your child his or her name, and yours and your pet’s. 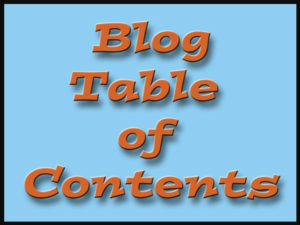 There are all kinds of online charts of upper and lower case letters like this one at ABCteach.com. If you have a printer at home you can also go to google and search for alphabet charts (click on the images tab to see more results). Give the child a card with a letter on it. Let them look for that letter throughout the day. Make up some alphabet cards on card stock, capital and lower case letters. Let your child choose one or two to find in the house. Taking advantage of the incidental alphabet as well as deliberately exploring letters and sounds can help build your child’s language and reading skills at a much quicker pace. What are some of the times and places that you and your child have gone treasure hunting for letters or words? Hello! Glad you came by to look! Thank you so much. We will be working on it more to try to improve. We appreciate your comment. Fun tips! My little guys likes to hunt and peck on my phone and send text messages to his dad. My grandson was doing that very thing while he was staying with me and we were messaging his parents. Glad you liked the tips, Thanks. These little ones energize me, they are so fun, how quickly they learn is phenomenal!